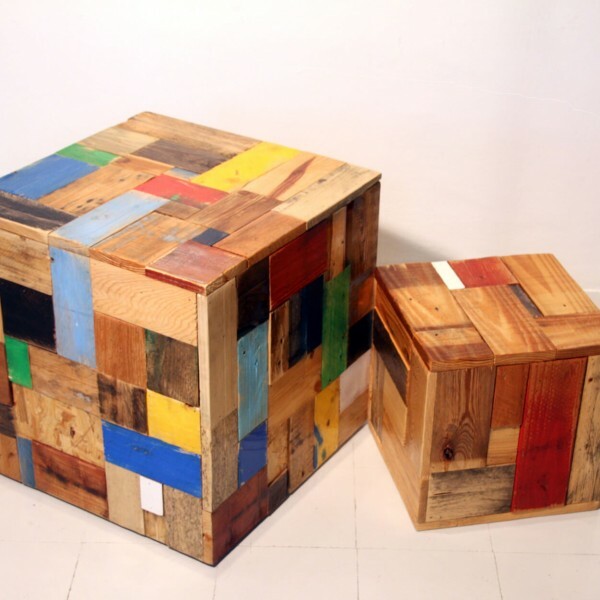 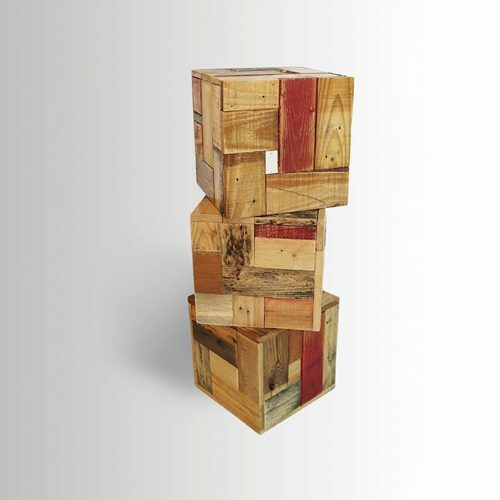 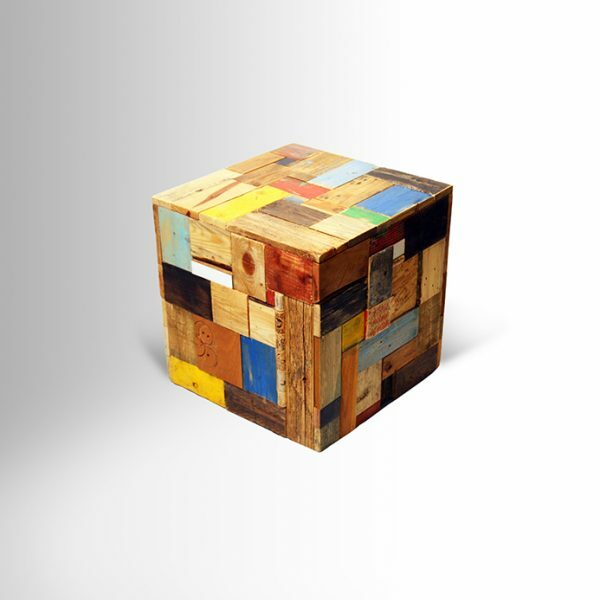 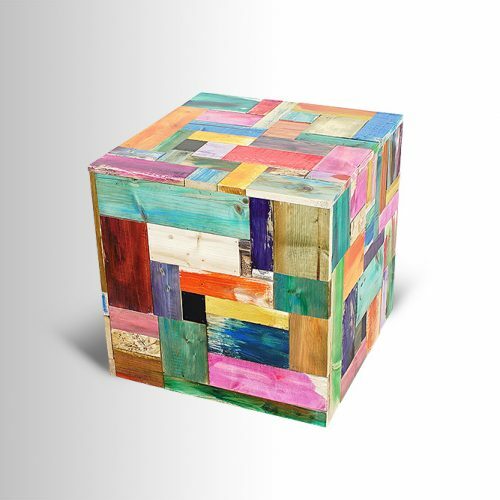 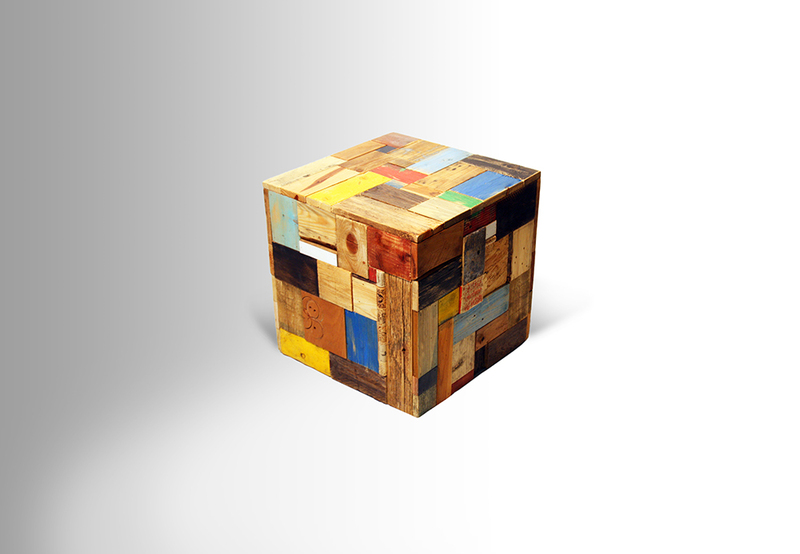 An assortment of scrap wood and strips and board pieces make up this collage cube. 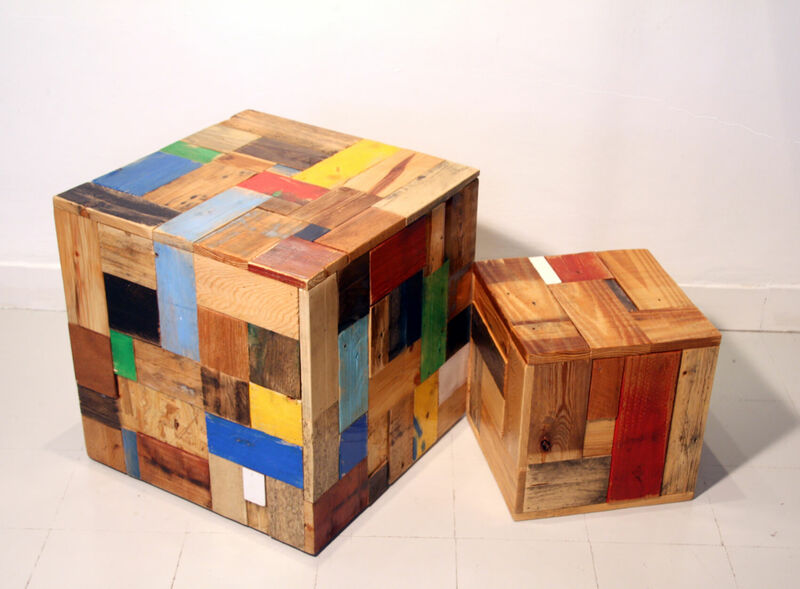 Some are leftover painted pieces and some carry their natural attire. 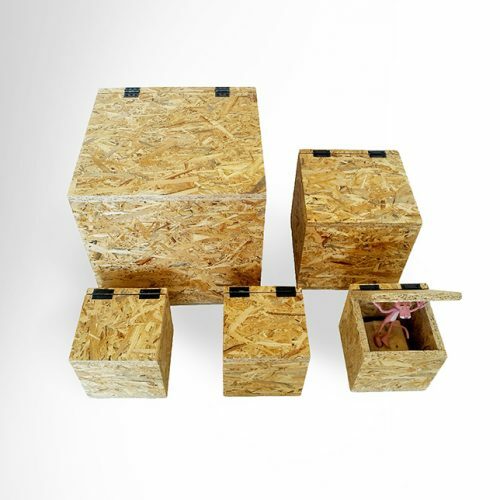 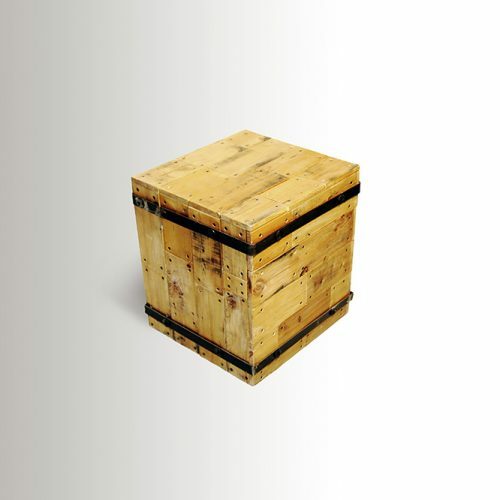 The cube can be used as a sitting block or a side-table or stacked in a pile for books, plants and decorative objects.